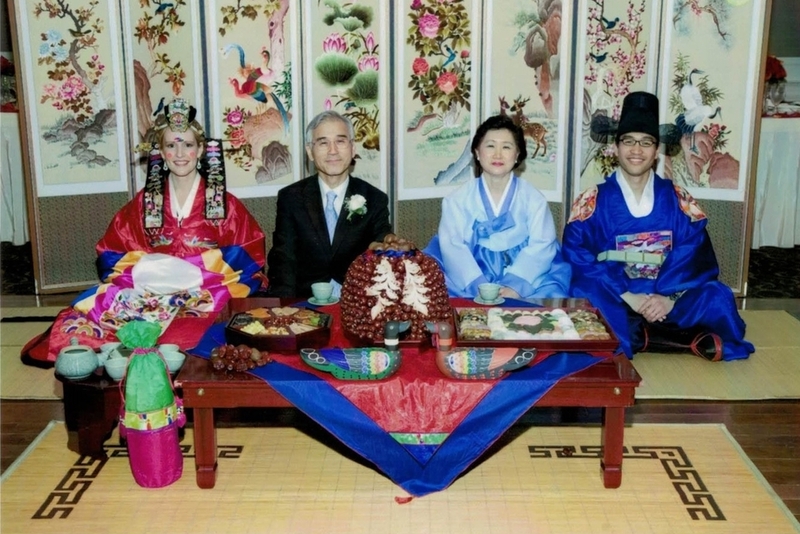 What is the Paebaek Ceremony? 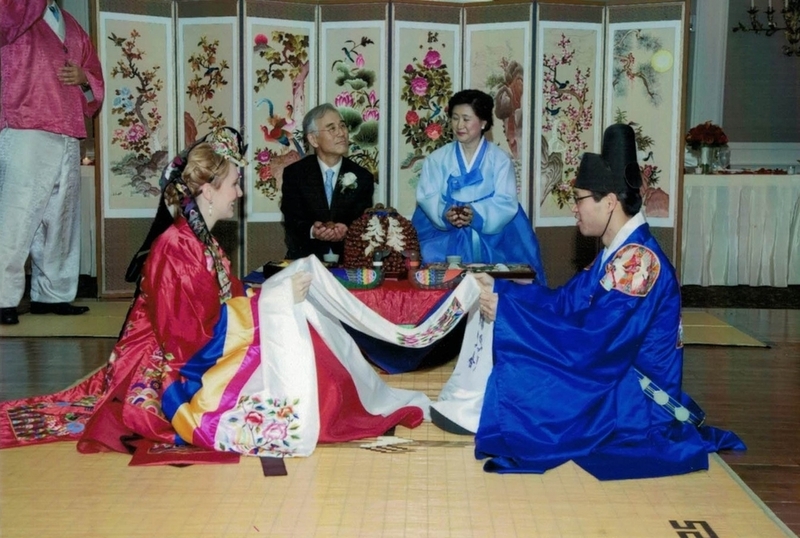 The Paebaek Ceremony is a Korean wedding tradition in which the bride is introduced to her parents-in-law for the first time. In the past, weddings were carried out in the bride's home, with huge festivities often involving the bride's extended family and entire town. After the wedding, the bride would go to the groom's house to meet his parents for the first time. 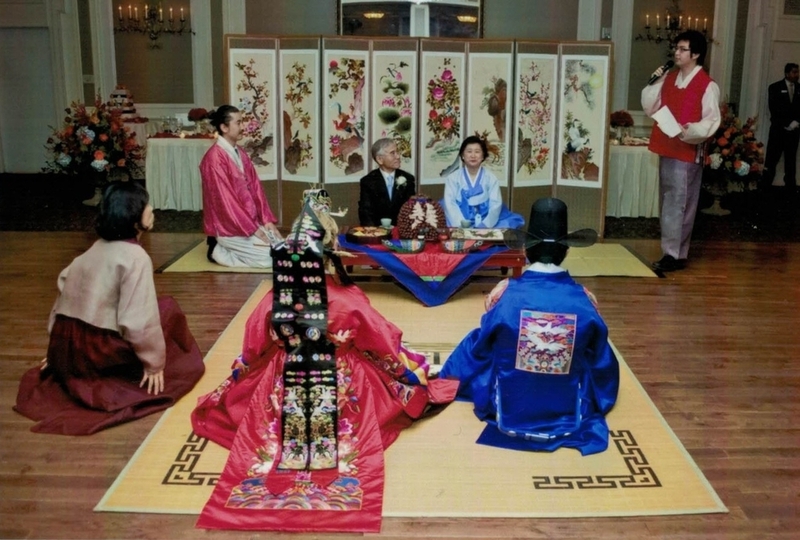 The groom's family would prepare an assortment of food on a low table, in front of an 8-panel folding screen. 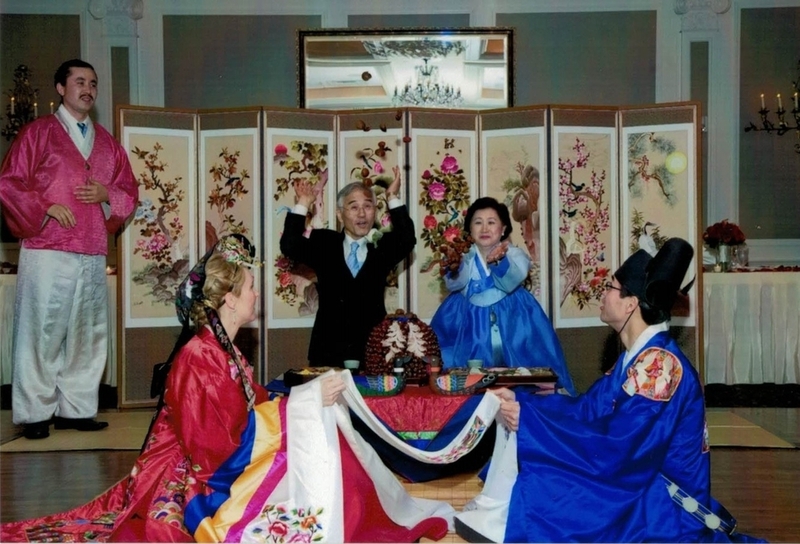 Rose Hanbok has provided Paebaek event services in both English and Korean for over 17 years with professionally trained staff. Paebaek services start at $1100 with equipment included (folding screen, low table, ducks, gold tea set, bamboo mats, seating cushions).